Every once in a while, an office building will lose its vibrancy. What was once an office filled with life and excitement will become somewhat dull and a little sluggish. If you feel like this is happening to your place of work, don’t stress — SpeedPro has the visual solution your business needs. SpeedPro Imaging Long Island City serves all businesses and organizations based out of the Brooklyn, Queens and Manhattan areas. 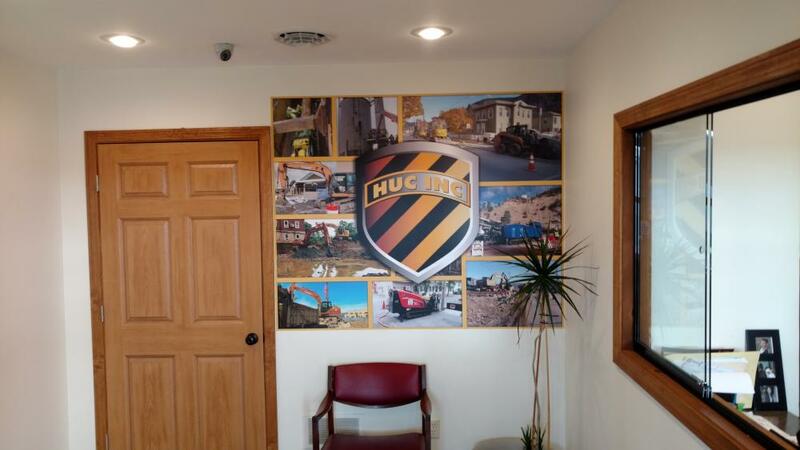 We’ll provide your office or building space with one or several vinyl wall murals to match your branding needs. Give us a call or stop by the studio today to set up your consultation! Large format wall murals have a unique ability to be in the background — or outer ring — of your workspace and yet be a driving force in the uniformity and atmosphere of the room. 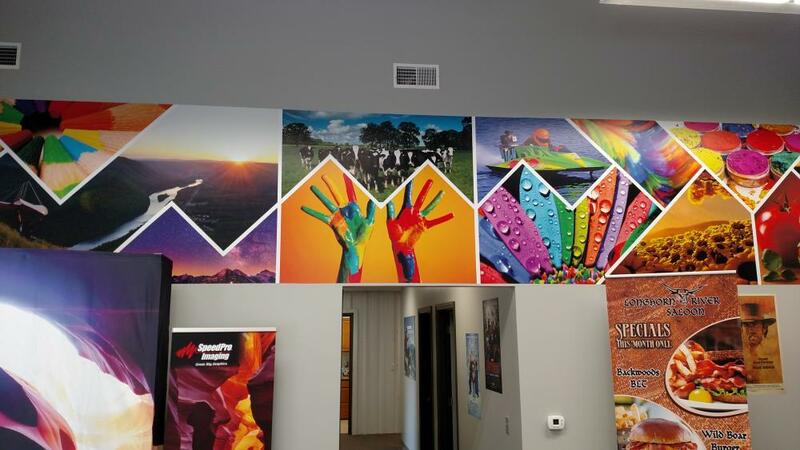 With the addition of our vivid inks and custom cuts, our wall murals can contribute to the feeling of comfort and excitement a customer will feel upon entering your office, leading them to want to know more about your business. 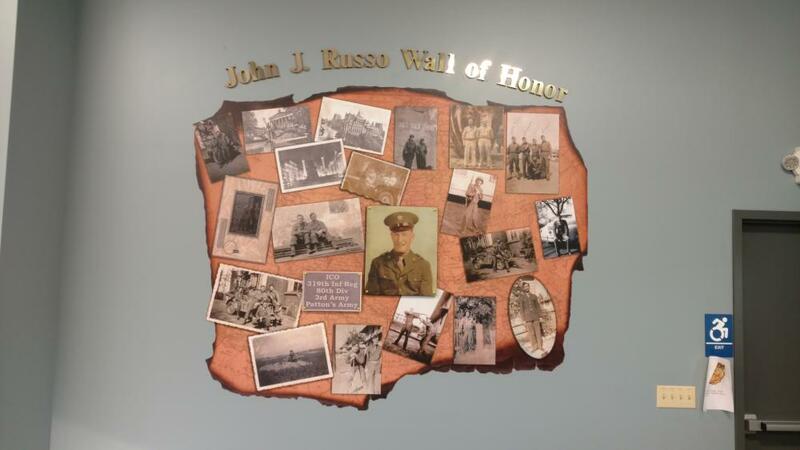 When we meet with you during our consultation, we’ll ask and decide where your custom wall mural will be placed and who it will be presented to. The answers to both of these questions will contribute to creating the perfect wall mural for your business. We’ll pinpoint the area of most attraction and visibility and the purpose or message that needs to be branded. 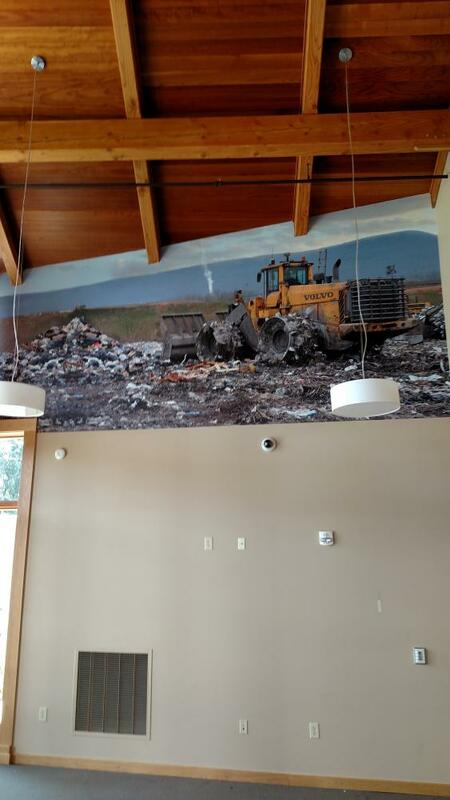 If you’re trying to reach your customers, a printed wall mural will work wonders inside your lobby or reception area. This placement creates a zone of comfort for them while they wait to be called for a meeting or service. With a new addition to the main wall, the attention of your customers will automatically be caught as they adjust to the large format wall mural now sitting with them in the lobby. You can design these murals with your featured products or a representation of what your brand is, allowing your guests to feel a connection to your business and feel more at ease going into the meeting. On the other hand, maybe you’d like to add a printed wall mural to your conference room. Maybe you bring a lot of customers into that room to negotiate deals, or perhaps it’s solely used between you and your employees. You can include your company’s mission statement to center your focus during all of your meetings, especially if you’re trying to make a sale. You could also use this large visual as a reminder to your employees of the values your business thrives upon in a way that encourages and motivates them to complete their work every day. Our vinyl wall murals are made from a durable and long-lasting material. It supports the vivid colors our inks produce, ensuring your mural will not go unnoticed and allowing your branded message to be clear. When paired with the right adhesive, your wall mural will be rolled onto your wall with a lifespan of up to seven years. You can rely on it to be with you through any ups and downs, continually grabbing the attention of your customers and making impression after impression. Are you thinking about including a large format wall mural in your office? Whether you’re looking for short-term or long-term options, we can meet all of your needs. Contact us today to set up a consultation appointment to discuss your business and brand!